Do you know what we will celebrate February 2nd? It’s the World Wetland Day. “And what is it all about?”, ask Siri 🙂 and 🙂 Selma. Oh dear, here already the problem begins. “Wetland” isn’t a generally binding term, there exist many definitions. But anyway, on the World Wetland Day we celebrate the RAMSAR-Convention as agreed by the UNESCO. This convention defines wetland as marsh, bog, swamp and fen. Am 2. February 2019 ist der World Wetland Day. “Was hat es denn mit diesen Feuchtgebieten auf sich?“, fagen Siri 🙂 und 🙂 Selma. Den meisten Deutschen wird “Feuchtgebiete” durch den originell ekelhaften Megaseller von Charlotte Roche bekannt sein. Beim World Wetland Day geht’s jedoch nicht um weibliche Anatomie sondern um Geografie. Und hier beginnt das Problem, ‘Feuchtgebiete‘ ist ein unverbindlich definierter Begriff. Für die von der UNESCO vereinbarte RAMSAR-Konvention zum Schutz der Feuchtgebiete gehören Marsch, Sumpf und Moore. Wetlands are important for wildlife conservation, especially for protecting birds. You find as much as 10% of all wild living animals of the UK in wetlands. They are essential as resting places for migrating birds and for their survival in winter, especially for waders (we just learn to identify them). Besides, they bind carbon and therefore are important for our climate. Unfortunately, 90% of all UK’s wetland vanished since the industrialisation. Feuchtgebiete sind für den Artenschutz und speziell für den Vogelschutz wichtig. In UK sind sie der Lebensraum von etwa 10% aller wild lebenden Tiere. Außerdem sind sie Rastplätze und Überwinterungsorte bes. für Watvögel, die wir gerade zu unterscheiden lernen. Dazu kommt, dass sie durch Speicherung von Kohlenstoff wichtig für den Klimaschutz sind. Aber leider sind seit der Industriealisierung etwa 90% der Feuchtgebiete verschwunden. We have internationally important wetlands here although Norfolk is one of the driest counties in the UK. In these wetlands live more than 1% of international and national wildlife. These are birds, crayfish, amphibians and sea anemones that are extinct in most if not all other places. Therefore it’s understandable that here England’s first Wildlife Trust was founded 70 years ago. This Norfolk Wildlife Trust runs an extraordinary visitor centre in the Cley marshes and the Simon-Aspinall-Education-Centre. Simon Aspinall, who died in 2011, was not only our neighbour but also very much involved in the RAMSAR Convention. Our clever Siri 🙂 found out, the name ‘Ramsar’ was chosen because that’s the name of the Iranian town where this convention was signed. Obwohl Norfolk zu den trockensten Ländern UKs gehört, gibt es hier international wichtige Feuchtgebiete, in denen über 1% der nationalen oder internationalen Wildtiere leben. Bei uns sind es speziell die Vögel und Flußkrebse, Amphibien wie auch Seeanemonen, die an anderen Orten bereits ausgestorben sind. So ist es verständlich, dass hier der erste Wildlife Trust in England gegründet wurde, der in den Cley Marschen das Simon-Aspinall Bildungszentrum betreibt. Simon Aspinall, der 2011 verstarb, war nicht nur unser Nachbar, sondern auch maßgeblich an dem RAMSAR-Abkommen beteiligt. (Siri 🙂 fand heraus, dass das Abkommen so heißt, da es in der iranischen Stadt Ramsar beschlossen wurde). As you know, we live in this wetland of the North Norfolk coast that is made of dunes, salt marshes and tidal mud flats. Here grows the reed which is harvested in winter and on many marshes cows are grazing to keep the vegetation short which is ideal for most of the birds. However we find the huge flocks of wild geese (brent, pink foot and other geese) most fascinating when flying regularly most evenings and mornings above our house calling Siri 🙂 and 🙂 Selma. Then Dina opens the windows wide greeting Yksi, Kaksi and Kolme and all the other geese coming from Sweden bringing Siri’s 🙂 and 🙂 Selma’s friend Nils Holgerson. Wie ihr wisst leben wir im Wetland der Küste Nord Norfolks, das aus Dünen, Salzmarschen und Watt besteht. Es gibt hier Riet, das im Winter geerntet wird, und Vieh weidet auf manchen Marschen, um die Vegetation als ideales Überwinterungs- und Brutgebiet für die Vögel kurz zu halten. Am meisten faszinieren uns jedoch die riesigen Schwärme der Wildgänse, die im Spätherbst und Winter regelmäßig unser Haus morgens und abends mit ihrem speziell Ruf überfliegen. Dann muss Dina weit die Fenster öffnen und Siri 🙂 und 🙂 Selma rufen, denn sie bringen ihren Freund Nils Holgerson von Schweden. 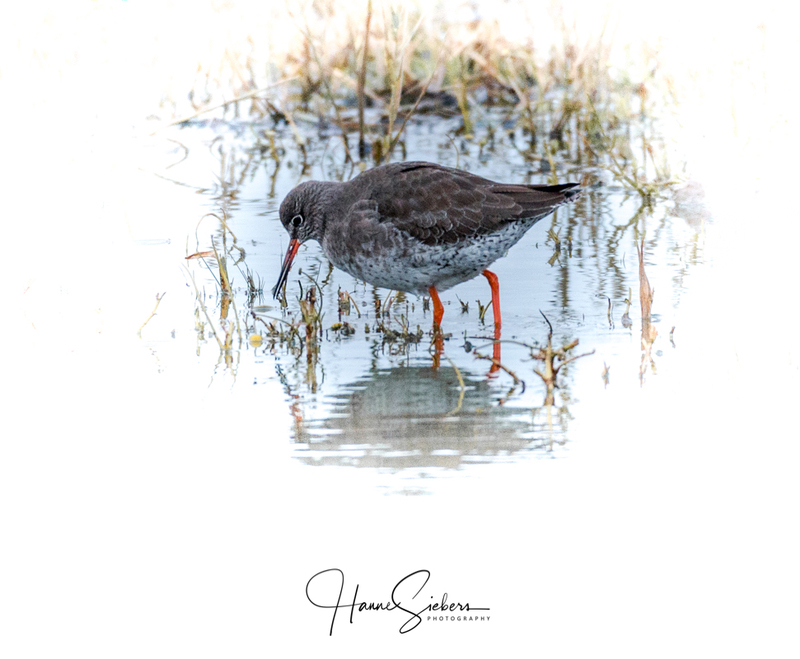 This entry was posted in Norfolk, England and tagged Birds, Marshes, Norfolk, NWT Cley Marshes, Ramsar, Simon Aspinell, wetlands, wildlife, world wetland day. Bookmark the permalink. It’s good to make people aware that wetlands support so much life. There was a time when filling in marshes was considered progress. I shudder to think about that mindset. fortunately, our awareness has changed and we hope that will change more and more concerning conservation. We have to understand that conservation is vital for us. I’m glad you put up this awareness post. Have a great weekend too. I hope it won’t be too cold over there. It’s not that cold over here and we are keeping warm, we hope you as well. thanks for telling us about the Yoruba culture and the water deity Yemoja we didn’t know about. Their rituals are connected with water as a source of life as well. There is quite a big wetland area in Basil, Reentrancias Maranhenses, that is included in the Ramsar Convention. Such lovely photos of wetlands and the creatures that live there! Stunning photos Dina. You are very lucky to live in such a beautiful area. The salt marsh in winter is a fabulous place, but I am happy to say that I see some of those birds here on the Hayle estuary – curlews, red shanks, little egrets and terns and oyster catchers, though they have managed to avoid me so far! And yesterday in St Ives I had Turnstones virtually walking over my feet! At the Sheringham seafront there are lots of beautiful and busy Turnstones. I wanted to do some bird photography and brought some bread to attract them to get even closer, they literally run right up to my feet. It was impossible to get a decent photo though. As soon as the first bread crumbs landed on the pavement as soon did the gulls and the terns arrive, pure chaos. a couple of days ago we went with Dina for photographing Turnstones at Sheringham. Siri 🙂 and 🙂 Selma like them very much, they think they are so sweet. We could make them coming very near with the help of some bread crumbs. We suppose with a bit more patience we could have made them feeding on our hands. We have very nice memories of St. Ives. We are pretty sure that we will come back there again. You seem to know the birds quite well. We are still learning but getting better and better. St Ives is very nice at this time of year, though not many shops open and certainly no visitors. Parking is easy though! Parking is easy in St. Ives, wow, that must be a relieve. And it’s surely great when most of the tourists are gone. Most of the shops were renovating, decorating or simply closed last January when we walked about. I loved it. What a fabulous place in winter! St.Ives definitely has a more “summery feeling” to it than our villages. Here, the peak season is Christmas/New Year. Oh dear, sorry, I just saw that Dina just wrote more or less the same. Not to worry, nice to hear from you both. Hope you are not freezing too much at the moment! we had a beautiful winter’s day yesterday. We spend most of the day walking through frozen heathland. But it wasn’t really cold, just minus -5 C and sunshine. Today it is warm again, mostly cloudy and a couple of degrees above zero. Yes, we keep very warm, wearing many layers of clothes as if would be in the Arctic. One needs that during fasting. Our fasting will come to an end at this weekend. You keep warm as well. Beautiful images and arresting text! Thank you both, Hanne and Klausbernd, as always for feeding our eyes, our minds, our spirits! What glorious sights present themselves in your lovely wetlands. This is how many of us think of Norfolk! Norfolk is still quite rural and has a lot of genuine nature. There is wetland inland as well, the big area of the Norfolk Broads full of rivers, lakes and swamps. Three cheers for the amazing photo presentation of the UK wetland in your area. The photos are of outstanding quaiity. Thank you, Hanne! thank you very much for liking Dina’s photography 🙂 🙂 It took us quite a while to choose the right pictures. We wish you a happy weekend. Great pictures again. I don’t know anything about birds. I read some birds tend to fly while others are more of the floating kind. Even so, I realy enjoyed the birds pics too. Time for me to go and visit this bit of England one day. we didn’t know anything about birds a couple of years ago. But as we have this Aspinell education centre at our doorstep we took some courses like birding for dummies. Well, we are still learning. We are surrounded by people who know lots and lots about birds and so we are getting better. Sometimes we doubt it if it is important to be able to identify all the different gulls, waders and birds of prey – but maybe we think so because we have our problems with identifying. Norfolk is worth visiting, romantic little villages, great countryside and Norwich is a fine city, beautiful and lots of culture. Gorgeous photos as always. Here in the Chicago area, we’ll have wetlands this weekend when the frigid temperatures turn into very warm ones and all our snow melts! 🙂 Seriously, wetlands are important, so thanks for this lovely reminder. we saw pictures on the net of your winter. Wow, really amazing. We know such winters from the time we lived in Finnland and other places in the Arctic. Here it never gets cold. We had minus 6 degrees C. the night before and our neighbours saw this as ‘severely cold’. We love low temperatures and snow, therefore, we sometimes have to go to Greenland and Svalbard. Many people are not aware of how important wetlands are. There are several place I’ve seen where a section of wetland has been preserved. I always am happy to see this, as I am to see parks and preserves or just places where people are taking good care of nature. We are very happy that we can help to preserve nature here and making people aware of how important conservation is for us all. As it should be for all of us! this is great to hear that you celebrate the World Wetland Day as well and that you are also aware of how important wetland is. Let’s work together in making more people aware of the importance of wetlands. And, thanks a lot for sharing those beautiful photos. Yes, that’s our aim with this post to make people aware of how important wetlands are. Thanks for your link that shows that you in the Philippines have a growing awareness of conservation as well. We need that worldwide for our survival. Such heart-warming photography. Thank you for sharing. Such great pictures. We have Wetlands very nearby where I live and it is so beautiful. It is so wonderful to see wildlife there. It is great they mad a Wetlands day to show how important it is! we think it’s very important to make people aware of how important wetland is not only for wildlife but for us as well. We need wildlife and the wildlife needs us for conservation. Ganz herrliche Bilder und eine Erinnerung daran, wie wichtig Feuchtlandschaften sind. Man macht sich oft keine Vorstellung wie wichtig Feuchtgebiete sind. Das soll der Wold Wetland Day ändern und ein klitzekleinwenig wollen wir mit dieser Post dazu beitragen – als Wetland-Bewohner. Well, I never knew the difference between a big and a swamp, Dina! And as ever, you show some stunning photographs! Thank you for reminding us of our trip to the area of Carcassonne as well. Well, we have been there when coming back from Marocco 30 years ago and stayed there for a fortnight. Well, we drove through the Sahara desert the whole Tamarasset trip and to Niger and then back. It was great. We relaxed in Carcassone afterwards. thanks a lot for commenting and this link to the Havelniederung which always reminds us of Fontane’s poem of Herrn Ribbeck and his pears. Actually, we visited the Havelland years ago and, of course, Ribbeck. To activate lost wetland is quite a job. We are lucky that we only have to preserve existing wetlands in North Norfolk what is much easier. We walk nearly every day through the salt marshes to coast watching the birds. Now thousands of geese from Scandinavia, Siberia and the Arctic are staying here over the winter. We love to see them flying in big flogs. Your photos look even more impressive on my new big monitor. 🙂 And as always, your real love for the area shines through, in both images and words. Yes, we love living here and hope that we are able to live here until we die. Well, this Brexit chaos is quite worrying, unbelievable. Siri 🙂 and our Master just reading a brilliant novel about Leonardo da Vinci by the symbolistic Russian author Dmitri Mereschkowski. He pictures the demagoguery of the church during the Inquisition (it’s the time of Savonarola). It reminds us of the Brexiteers. Oh dear, dear Pete 😦 We’ll ask for a reference in case we need one. Yes, the migrating birds, most of them are geese, and the local birds mix very well. One can see them flying together in one flog sometimes. wir lesen ‘verschneit’ und werden neidisch. Zumindest ein wenig Schnee hätten wir auch gerne. Allerdings hatten wir gestern eine Glitzerwunderwinterlandschaft. Es gab gefrorenen Nebel. Da mussten wir gleich hinaus zu einen langen Spaziergang. Aber heute sind es schon wieder 4 Grad und vorbei ist der Zauber. Wir fanden gestern von Amy Sackville “Painter to the King” in einem Antiquariat, den Roman über Velazques, der von ihr letztes Jahr herauskam. Aber zur Zeit lesen wir einen anderen hervorragenden Künstlerroman des Symbolisten Dmitri Mereschkowski “Leonardo da Vinci”, den wir sehr empfehlen können, eine tolle Beschreibung des Übergangs vom Mittelalter zur Rennaissance. Das mit dem Ganz-Langsam-Lesen kennen wir auch. wir wünschen dir gaaaanz schnelle gute Besserung und Siri 🙂 und 🙂 Selma senden dir heilenden Feenzauber. Weiterhin gute Besserung! Hier ist gerade ein fürchterliches Wetter, Sturm mit Regen, aber relativ warm. Voll ungemütlich. Das ist es am gemütlichsten zu Hause. Du pflegst dich fein und wirst schnell ganz gesund. Ihr Lieben, was für ein Genuss deine Fotos anzuschauen, liebe Hanne! Danke auch für alle Informationen dazu, lieber Klausbernd. habe ganz herzlichen Dank für deine lieben Wünsche und überhaupt fürs Kommentieren. Du hast jetzt bestimmt einigen Schnee im Schwarzwald. Wir sahen im Netz wunderbare Winterbilder vom Feldberggebiet – zum neidisch werden. Du bist doch auch oft im Wendland, sind da nicht einige Feuchtgebiete an der Elbe? Wir wünschen dir, wo immer du auch jetzt bist, eine wunderbar entspannte Zeit. Der Schnee regnet gerade weg, auch auf dem Feldberg, wie ich gerade vom Nachbarn erfahren habe, der eigentlich heute snowboarden wollte. Feuchtgebiete gibt es im Wendland, aaaber sie werden kleiner, diese trockenen, heißen Sommer hinterlassen Spuren. selbst auf dem Feldberg regnet der Schnee weg. Welche Schande! Hier hat der trockenheiße letzte Sommer die Feuchtgebiete nicht schädigen können, da ihre Feuchtigkeit weitgehend vom Meer kommt, das nicht auf lokale Trockenheit reagiert. Aber auch die Feuchtgebiete im Land hatten keine Schwierigkeiten. Warum das so ist, ist uns nicht klar. we didn’t know about the World Wetland Day before last year when we heard a talk about the importance of wetlands for wildlife and people. Then Siri 🙂 and 🙂 Selma got into it and did a lot of research. The Aspinall-Centre started last year advertising this World Wetland Day with lots of information and action this weekend. We’ll be there. Indeed, wetlands are extremely productive. 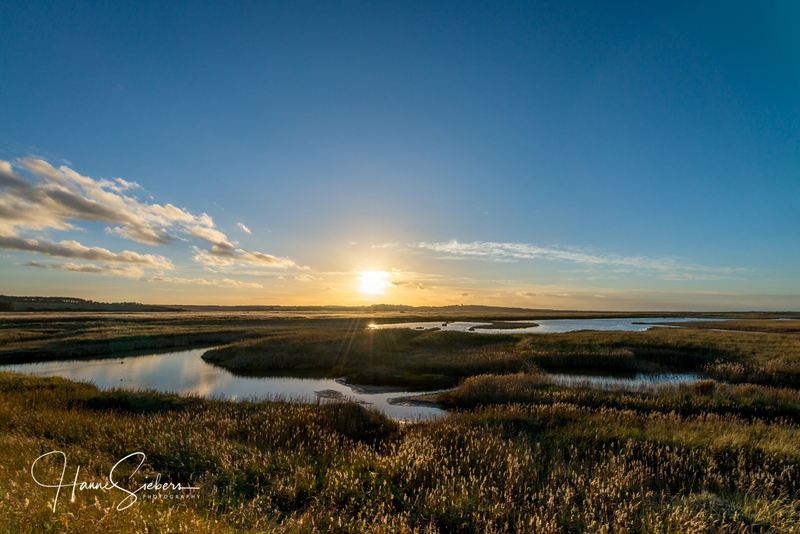 The Norfolk Wildlife Trust and the National Trust are caring very well for the wetlands here and Wildlife Trusts do the same in other areas of the UK. Another great post, my dear friends! Good to see the very fine images of an area I know very well. 🙂 Congratulations to you and and your Wetland authorities. Norway currently has 63 sites designated as Wetlands of International Importance (Ramsar Sites), with a surface area of 909,134 hectares. Most of these are located on the mainland, while nine(!) are located in the high arctic on Svalbard where I am right now. well, our fasting is fine. We started it very slowly eating lots of dried berries and apples before we did our real fasting. We will end it at the beginning of next week. We are impressed by how many Ramsar sides you have in Norway. Very well done. Enjoy your cosy home on Svalbard. Enjoy the end of your fasting and have a lovely weekend. we always laugh about this kind of competition between Sweden and Norway. Well, both countries are doing very well in conservation in comparison to the rest of the world. That’s great and you can be proud of it. We knew about the high productivity and importance of wetlands but didn’t know that there is World Wetland Day. We heard about it from the Aspinall centre where we regularly go to talks and courses. We are happy that our fasting is finished this weekend. Our dear Master already dreamed of proper rye bread sandwiches with cheese and ham and beer with it. I know the importance of wetlands here in Florida. It is basically the only place left after constant construction that birds can safely breed and live out their lives. Only a handful of species can adapt to the crowded conditions developing here. Your pictures show that large groups of birds are making the wetlands their home and that certainly makes me smile. Today, 1 February is National Freedom Day in the US and I have yet to see one blog mention it. I see on-line that it says it is a day when many Americans celebrate their freedom…. Don’t believe it. They don’t even know this day exists. I’m happy to hear from people, my friends, that love this Earth and work to keep it thriving!! Thank you. oh dear, we have to admit we didn’t know that a National Freedom Day exists in the US. The UK as Scandinavia has a lot of Ramsar sides where the wetland is protected. Here we have these Wildlife Trusts as well as the National Trust as powerful organisations that do a lot for protecting wetlands and all the wildlife living there. These organisation taught for a long time how important wildlife is for our surviving and a lot of people support these organisations (millions). And, of course, conservation even pays in the end as one can see in Norway and Sweden f.e. and as the industry is aware of more and more. Our next effort will be protecting the terns breeding here in summer. But now the different geese from Scandinavia, Siberia and the Arctic stay in the marshes in huge flogs. They love those marshes that are grazed by cattle. Thank you, and ALL my very best to you all! of this major natural resource of importance to all life. Incredible photography and fascinating story combine to produce this article of major importance! California has a lot of wetland too and it’s great to hear that you join this important celebration. It seems to us that California is a forerunner for conservation in the US. Thanks a lot for liking Dina’s photography 🙂 🙂 and our text. We think it’s very important to make people aware of how important wildlife is and how important wetlands are for the wildlife. Well, we live in such a wetland area and love it. thank you very much 🙂 🙂 Great, that you like our post! Is there primarily salt water or fresh water in your wetlands by the coast? your question is not that easy to answer. First of all the mud- and sandflats and the salt marshes are salty. The lagoons are salty or consist of brackish water and as further away from the beach as sweeter the water is. The wetlands inland Norfolk have all fresh water. Most of the people are not aware of how important the wetlands are. Therefore we celebrate this World Wetland Day tomorrow. Stunning images, thank you very much for sharing! Its always wonderful seeing your post with its magnificent images and commentary! With the help of our beloved Bookfayries Siri 🙂 and 🙂 Selma, we are able to post our illustrated articles every fortnight. It’s fun to design them. Wetlands are important for everyone…thanks for raising the subject of Feb 2nd AKA Groundhog day. we didn’t know that February 2nd is the Groundhog Day although we saw the film. It’s also the day Alexander Selkirk was rescued in 1709 after shipwrecked on a desert island which inspired Defoe’s “Robinson Crusoe” and it’s the day James Joyce’s “Ulysses” was published in 1922 and the day Candlemass is celebrated in Catholic communities. Wow, what a day this World Wetland day! All true (will take your word), though Groundhog Day 2019 (the day, not the entertaining movie) has a bearing on our lives: a prediction to the end of winter. Edge of the seat stuff!!! indeed, it was the end of the winter here on Groundhog Day. Since February 2nd we don’t have any more frost at night. Where we lived in Scandinavia and Germany the Groundhog Day was mostly the beginning of a great winter with lots of snow. Hello Fabulous Folk – I’ve visited some marshlands, along the eastern coast of the U.S., and the healthy ones always seem to be an incredible incubator of life, and on a warm day, always remind me a rich soup (a Bouillabaisse of course) with countless ingredients all being digested and recycled, cooking up an amazing variety and quantity of creatures. I’m currently living 900 miles from the ocean, but my apartment is above the Milwaukee River, and very glad to find there’s a riparian restoration well underway, replacing 19th c. dams and industrial structures with trees, and removing the concrete liners from the ‘60’s. So in the spring, I’ll see what the Great Lakes restoration groups are working on. 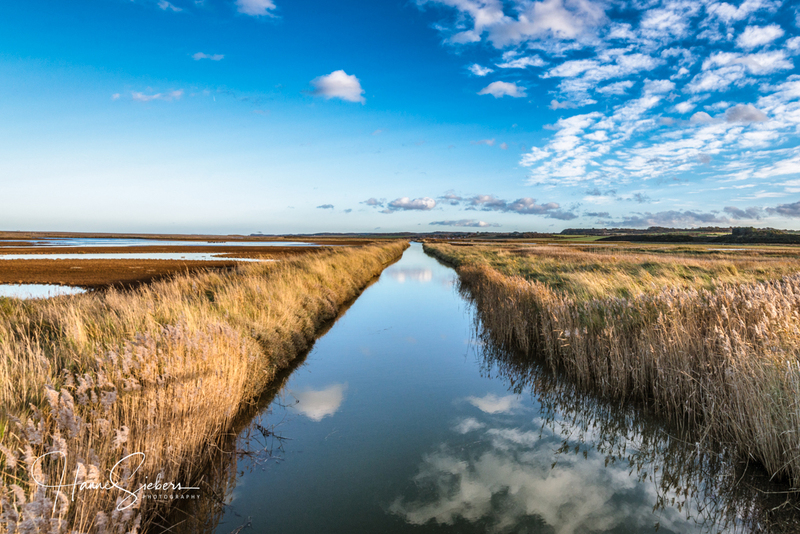 Your photos are wonderful, and I’m very happy to learn about the Cley Marshes, swarming with life. It’s great to see the flocks, but the individual portraits are my favorites, these long-legged, long-beaked waders are very appealing. I wondered, are the buildings with the reed-thatched roofs part of the visitor center, observation blinds perhaps? Thank you for a very nice posting, cheers, R.
you are right, those reed thatched buildings are part of the Cley Marshes Visitor Centre of the North Norfolk Wildlife Trust. These are hides for birdwatching. In front of them are lagoons very much loved by the waders (and birdwatchers). We had to smile about your comparison of the Cley marshes and a Bouillabaisse. Exactly, that’s it! Wow, we didn’t know that there are places as far as 900 miles from the ocean. You wouldn’t believe it, in the UK there is no place more than 40 miles away from the sea. Along big rivers are usually important wetlands too. Siri 🙂 just told me that the biggest wetlands are around the Amazone and the Mississipi. We hope that this wetland restoration at the shores of the Milwaukee River will be successful. What brilliant photos to illustrate such an important theme. I think I’m due another visit to Norfolk! Norfolk and especially the North Norfolk coast is very much worth visiting. We love it best in winter when the landscape is very graphic, when big flogs of wild geese flying over the marshes with their magic call, when the grey seals are pupping. In the summertime, there are the common seals and terns living on our beaches. Beautiful as always and will fairy dust melt snow? No, the fairy dust goes very well with snow. It makes snow and ice glittering. Well, you have to know we Fab Four we love snow and ice, therefore we have to go to Scandinavia and Greenland and Svalbard regularly. Our Bookfayries are getting their power there – and we as well. Many years ago we lived in Arctic Finland with 3 to 4 meters of snow and temperatures under minus 30 degrees C for months. We loved this very much and Siri 🙂 and 🙂 Selma couldn’t stop wondering how beautiful everything looked in this clear air. Unfortunately, it’s never cold where we live now and there is hardly ever some snow. But we’ll go to Norway in a fortnight and Siri 🙂 and 🙂 Selma hope for lots of snow there. Thanks for showing us this wild place that is the epitome of nature’s bounty. And I adore the idea of World Wetland Day, all those unseen inhabitants are feted and honored. yes, there are so many seen and unseen inhabitants of the wetlands, it’s amazing. So we celebrate and honour them as an important part of wildlife tomorrow. Wow, I had no idea that this was an actual event! Your photos along prove how important it is to appreciate and preserve these wild spaces. What breathtaking imagines! yes, this World Wetland Day is celebrated worldwide. More and more people became aware of how important our wetlands are since this Ramsar Convention was agreed on by many nations. Celebrating the World Wetland Day started more than 20 years ago and every year more and more institutions take part and sponsor action to protect wetlands. Wow! Such a wonderful collection of images! I like how you did the white vignette for the single bird in the second photo! We immediately said as well that we liked best the second photo with this white vignette. Thanks for liking Dina’s collection of images. It always takes a lot of time choosing the right pictures. Sometimes we find it very hard to choose. Yes, I also find it takes some time finding the right pictures – but still often worth the result and satisfaction of creating something of beauty. Ach, wie herrlich und zauberhaft. Ich kann die Schönheit von Hannes Fotos oft gar nicht fassen. Sie entführen mich immer in eine Zauberwelt und ich liebe es. Fantastisch, die Gegend, die ihr euch zu eurem Zuhause auserkoren habt. da machst du uns aber neidisch, verschneites deutsches Kleinstädtchen hört sehr romantisch an. Und wir vermissen hier den Schnee! Wir liebe es auch sehr, hier zu wohnen und sind dankbar dafür. Ach, beides ist romantisch und besonders romantisch erscheint oft, was man nicht hat. I’m glad you didn’t get bogged down by the distinction between a bog and a swamp. and we even got more bogged when we tried to find the distinction between swamp, moor and fen. We could even say “moor bogged”, but that might be inde-fen-sible. Your photos are breathtaking, as usual — and your writing is informative, also as usual! Thank you making my world bigger and richer with your wonderful posts. danke für die Betrachtungen. Bei allen Überschneidungen denke ich am 2. Februar an Lichtmess und Candlemas. wir hatten vorher noch nie von Lichtmess oder Candlemas gehört. Siri 🙂 fand, dass dies ein katholisches Fest sei, dass am gleichen Tag wie der World Wetland Day gefeiert wird, und in den US und Kanada ist es der Groundhog Day. Außerdem wurde heute vor fast 100 Jahren (1922) “Ulysses” von James Joyce veröffentlicht. Viel los, nicht?! Da wir seit ewigen Zeiten nicht mehr in Deutschland leben, haben wir das mit dem Volksbegehren zum Artenschutz nicht mitbekommen. Da halten wir fest die Daumen, dass über 10% positiv für den Artenschutz stimmten. ich habe außer deiner Post zum Volksbegehren für die Artenvielfalt deinen Robert Burns Artikel gelesen, der mir SEHR gut gefallen hat. Ich bin übrigens ein Freund des Haggis und dem Whisky auch nicht abgeneigt. Wir alle vier waren oft in Schottland und bloggten auch darüber, besonders lieben wir das Nordende Schottlands und die Orkneys. Wir lasen gerade hier in einer Zeitung, dass man nach neuesten Umfragen auf den Orkneys die höchste Lebensqualität in ganz UK habe. dankeschön für Deine freundliche Resonanz. Deine und Eure Beiträge sind optisch wie gedanklich immer sehr reizvoll. Ja, um die Robert Burns Night herum kommen Erinnerungen auf an ein sehr schönes Studienjahr in Aberdeen vor über dreißig Jahren. Als Binnenländer einmal an der Nordsee leben, Ausflüge in die Highlands, die wunderbaren Menschen und die Städte Edinburgh und Glasgow. Besuche auf Iona und Skye gaben Eindrücke der westlichen Inseln. Daher ist recht nachvollziehbar, dass dort gute Lebensqualität zu finden ist. Von den Orkneys und Shetlands schrieb wandernd und segelnd auch Robert MacFarlane, The Old Ways / Alte Wege, wovon ich im Dezember geschrieben hatte. ich habe auch eine enge Verbindung zu Schottland. Schon mit 14 wurde ich zuerst für die Schulferien zu Aunt Mary nach South Queensferry geschickt. Seitdem hat es mich immer wieder nach Schottland gezogen. Zuletzt fuhren wir über die Outer Hebriden die MC500 bis zu den Orlneys. Ich lebte auch fast ein Jahr in Findhorn. Dina und ich, und nicht vergessen Siri 🙂 und 🙂 Selma, lieben Schottland sehr. Das ist so echt Nahrung für unsere romantische Seite. Dazu kommt noch unser Interesse an der Arktis, dass uns nach Whitby brachte, wo beide W. Scoresbys lebten und deren Schriften und Zeichnungen im Archiv des Museums dort aufbewahrt werden. Aber Schottland ist auch von uns aus ziemlich weit, naja, wir können bequem in einem Tag ohne Stress bis zur Grenze oder kurz über die Grenze fahren. Dann geht’s weiter gen Norden durch Glen Coe, was immer wieder eine tolle Fahrt ist. So, jetzt aber genug geschwärmt. I’m sooo happy that we both experienced many boggy and marshy areas in “Eire” and am looking forward to being there with U 4. Thanks for a wonderful blog!! We are looking forward to your visit here. We are sure you will love it. Many people say that rural Norfolk and Ireland 🇮🇪☘️ are quite alike. World Wetland Day – how nice in these times to belong to something international! You certainly do live in one of the most beautiful parts of the UK. Living near, or next to, marshes or nature reserves has to be one of the picturesque places and a delight for bird photographers. we are very happy to be able to live in this beautiful nature reserve in an AONB (Area of Outstanding Natural Beauty since 1968). An ideal place for taking pictures. Wow Dina, what an interesting and beautiful piece. I’m a great fan of Wetlands as well. I have found them to be the most tranquil of places. I grew up in North Devon and we had quite a lot of marshland near where I lived, it was amazing and inspirational for me as a child. Thank you so much for sharing. you made an important point: it’s very tranquil in the marshes. When we walk in the marshes, jumping over creeks and Siri 🙂 and 🙂 Selma are collecting mussels, we quite often don’t see other people, not even in summer. And it’s so quiet there, the only sound is the call of the birds. A beautiful post, I have shared a link here over on Twitter in honor of World Wetland Day. Cheers, and have a beautiful weekend! Thank you very much 🙂 🙂 Great that you linked our post on Twitter. May it help to make people aware of how important wetlands are. Congratulations on the beautiful photos. Here in Brazil we are also celebrating this important day. We Environmentalists are fighting against the current Government and investors, who want to end the parks and reserves. After all the wetlands are a cradle of life. we wish you good luck with preserving wetlands, parks and reserves. They are as important for wildlife as for our survival. We keep our fingers crossed for you. Gegen die sonne fotografiert! Wow! Wetlands are fascinating habitats, both for their beauty as well as the animal richness they offer. The wetlands in Norfolk looks like a beautiful place. And so does the images. I am particularly struck by the first photo. Just love space, colours and composition. And of course, the clouds hanging there makes the difference. there is always much sky here. 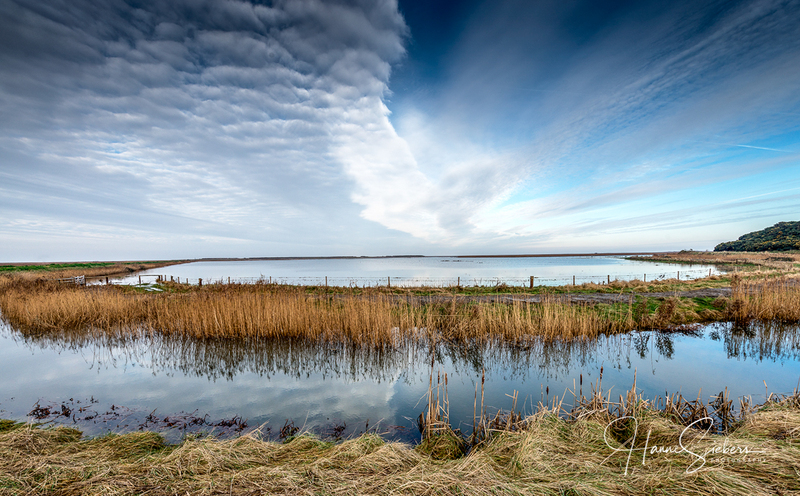 Norfolk is big blue or dramatic skies over vast spaces. This what we love and what creates that feeling of freedom. the Norfolk Wildlife Trust does a lot to protect these wetlands here and teach the visitors how important our wetlands are. thank you very much! 🙂 🙂 You are right, the sea and the wetlands are our mothers. thank you VERY much 🙂 🙂 We really appreciate to become reblogged on your birdlife blog. All the best for getting your wetland bird photos sorted. We keep our fingers crossed and looking forward to seeing them. What a wonderful surprise to find that we are celebrating together. We may live on opposite sides of the world, but we are following the same path. I remember that wonderful day we spent with you exploring the wetlands. We live in a marvelous planet. Everyone is responsible for the wellbeing of our precious wetlands – it is our time, our watch. Thank you, Thank you Thank you. Much love and many hugs coming to my dearest friends, The Fab Four of Cley. It’s great that we celebrated together this important World Wetland Day. More and more people are becoming aware of how important our wetlands are for wildlife. yes, there so many birds and they are in a constant movement. Out there in the marshes is not a place for you as there are even big birds like the greater black-backed gull who could easily eat you. Marshes are a no go area for Hipster Kitties! Die Bilder sind ein Traum, machen das Herz ganz weit. Danke! Will do, especially now that I understand them much better. great! This is what we wanted to achieve to make our visitors understand how important wetlands are for wildlife and people as well. Beautiful photos and a lovely way to celebrate such a vital part of our planet’s nature. Wow – your photos are stunning! gorgeous imagery and yes the wetlands are very important. In Ireland they are currently trying to undo some of the damage done by commercially digging for turf. In Ireland as in Scotland turf digging destroyed a lot of wetland habitats. Great to read that they try to undo the damage. I am grateful that these wetlands next to the cold sea nonetheless represent a warm welcome to so many creatures. Thank you for raising awareness of the importance of these precious habitats, and for sharing your wonderful photographs. Indeed, these wetlands are full of creatures, they are like a paradise for them. Oh such stunning images Dina … glorious! What a beautiful part of the world you live in. So very lucky .. Such a shame to realise that many of the wetlands there no longer exist. it is a shame indeed that so much wetland has vanished worldwide. We really love to live here in this nature reserve. …man wie bescheuert…die Vögel brauchen ihren Schutzraum…das ist doch klar…. Hach, da singen Wet Wet Wet auch drüber, das Somewhere Somehow hatten wir schon auf der Playliste. Alles liebe an die Vogelküste! da hast du Recht, die Vögel brauchen ihre Schutzräume und bes. die Zugvögel benötigen Rastplätze auf ihrer Reise. Außerdem bfachen Otter, Aal und Wühlmaus auch ihre Wohnstätten. Ihr Lieben an der Vogelküste! Es gab Zeiten, da hatte ich nur einen Wunsch: Bitte, dass ich so schön singen könnte, wie Eva Cassidy! Ich befürchte, es wird nichts, ich werde wahrscheinlich einfach singen, wie ich singe…egal Hauptsache die Töne kommen raus! Was machen wir jetzt mit dem doofen Geld? Es fließen lassen, dahin wo es wirklich gebraucht wird? Beautiful images, Dina, I feel the love and pride. We love to live here and care for the nature at our doorstep. Wunderschön in Szene gesetzt! Ja, Feuchtgebiete sind wirklich sehr speziell und stark schützenswert. Dass Euer Nachbar beim Ramser Abkommen mitgewirkt hat, finde ich sehr erwähnenswert. Das holt solche oft abstrakt wirkenden Vereinbarungen irgendwie viel näher an einen heran. Wir fuhren öfters im Winter und im Mai und Anfang Juni in den Norden Schottlands, dann schlafen die Midges noch. Winter bis Anfang Juni ist Schottland midgetsafe. In the National Geographic magazine from this February, we read that one has to give something a value if you want to conserve it. As we see it this value can be an aesthetical or economical one but without it, nothing will be conserved. So we try to give the wetland a value with help of you, dear readers. I just found another interesting idea concerning our comments here. A sentence worth thinking about. Virginia Woolf was another poet reflecting the interconnectedness of all life. Maybe artists feel this interconnectedness naturally. Thank you very, very much for mentioning and linking our post. The importance of the world’s remaining wetlands can’t be overemphasized. In all their forms, they’re critical — not only as habitat for birds, but also as nurseries for the tiny creatures at the bottom of the food chain that sustain fish, birds, and crustaceans. Of course, their beauty shines, as well, and Dina’s photos certainly capture it. There are expansive marshes and wetlands near me, where I often go to search for birds and plants. I don’t walk them as much as I’d like, since one of the creatures they sustain is the alligator! But being there is pure pleasure, as it surely is for you when you visit these special places. We sail on our little boot sometimes through the creeks in the reed beds as an adventure. Sometimes we stay in the middle of the reeds and watch the wildlife there. Fortunately, no alligators around. We only know them from the zoo and films. We suppose in comparison to your wetland ours is more barren. Thanks for liking Dina’s photography 🙂 🙂 and for commenting. ganz herzlichen Dank fuer diese fantastischen Fotos! Gelegentlich bin ich so frech und mache eines davon zum Bildschirmhintergrund. Ich hoffe, Du nuimmst es mir nicht uebel. ist Rosenmontag nicht dazu da, ‘over the top’ zu gehen? Aber unsere liebe Dina ist ja stets folgsam und ambitioniert, sie ging zu einer Einführung vom National Trust für die Warden, die im Sommer am Blakeney Point arbeiten. you are very welcome 🙂 🙂 Great that our post was interesting for you.